Free King Power Duty Privileges vouchers will be offered to customers who would like to shop at King Power after the tour! Celebrate the Songkran Festival and participate in an exciting water battle with locals from 13-15 Apr! Tour guide Sua is very much approachable! Booked the Songkran Tour. We went to the Wat Arun, Local Market Place and Rode a tuktuk for water fight. It was fun! 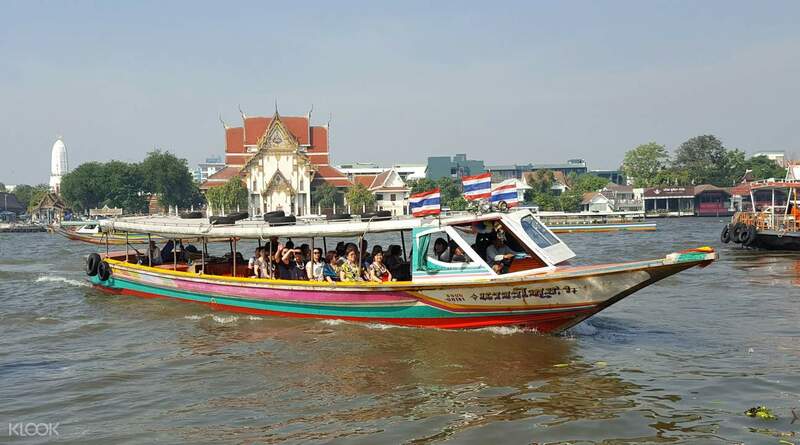 See the best of Bangkok on a 6-hour tour taking you to the city’s prime landmarks. 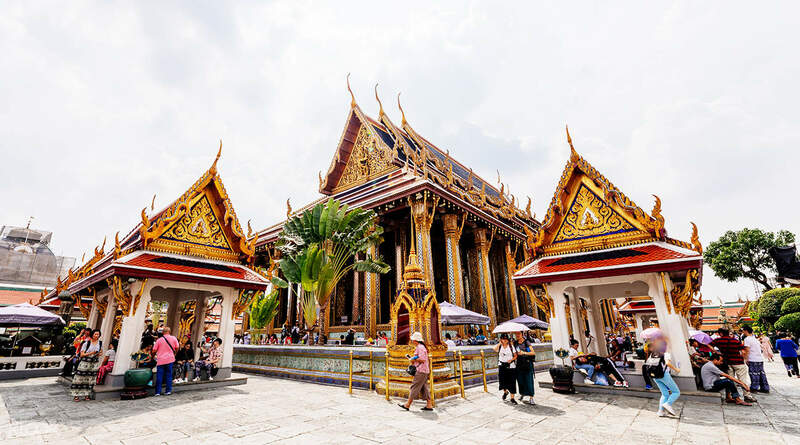 Kick off early in the morning from your meet up point at Century Mall and head over to visit the stunning Grand Palace and Emerald Buddha Temple (Wat Phra Kaew). Cross the river on a ferry and stop by a local favorite market, Wang Lang Market, for a delicious lunch. 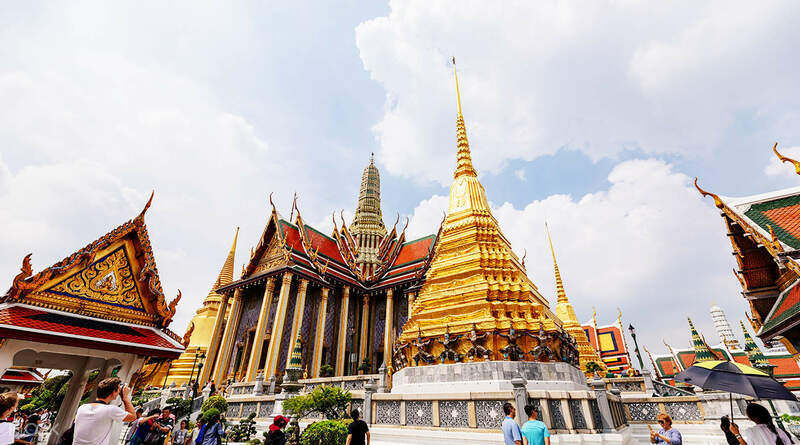 After lunch, you will embark on a sightseeing cruise along the Chao Phraya River on a traditional longtail boat where you will sail past the majestic Temple of Dawn (Wat Arun), the Royal Thai Navy Dockyard, Royal Barges Museum and more! Keep a memento of this incredible tour at King Power where you can choose to make the most out of your free King Power Duty Free Privileges voucher! 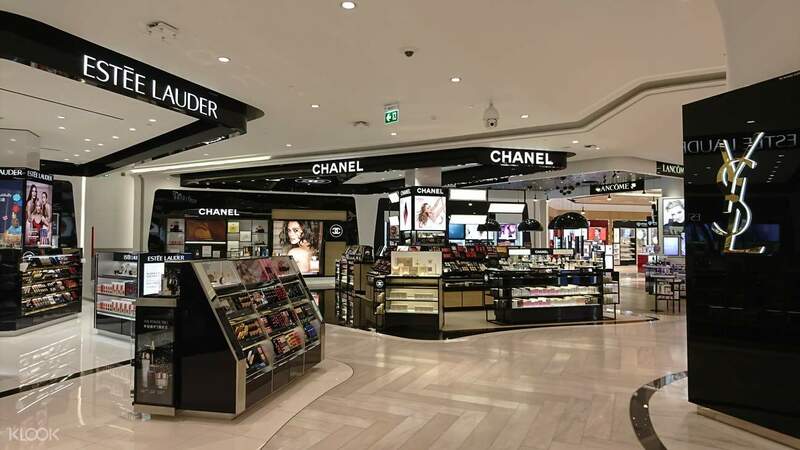 Savor an amazing shopping experience with exclusive traveler discounts and perks when you buy premium duty free items and souvenirs. Shop to your heart's content and end the tour on a high note. Satisfy your craving for shopping—buy premium duty free products with exclusive discounts at King Power! 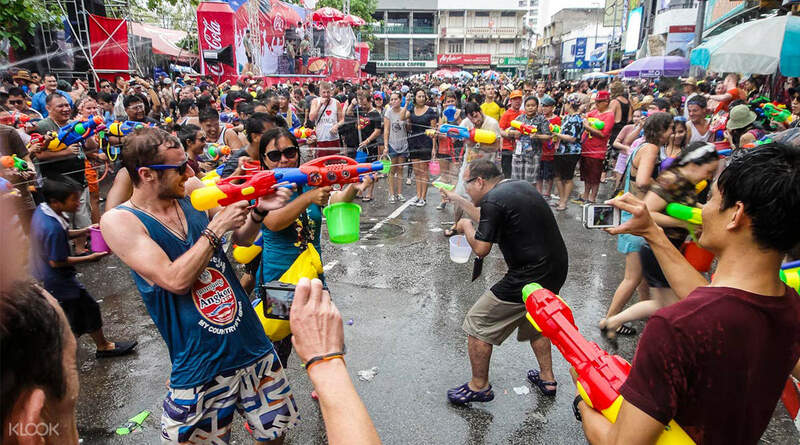 Go head-to-head with locals and tourists alike in an epic water fight on the streets of Bangkok during the Songkran Festival on 13-15 Apr! Klook service is the best! Our guide, Bo is also very nice and takes good pictures. It is tiring but very worth it. Thanks to Klook I got to see the beauty of Thailand. Definitely recommend it for travelers. Klook service is the best! Our guide, Bo is also very nice and takes good pictures. It is tiring but very worth it. Thanks to Klook I got to see the beauty of Thailand. Definitely recommend it for travelers. Cherry our guide was superb . she communicated nicely . she was kind , very informative and was able to guide a group to visit Grand palace in midst of a very large crowd . we throughly enjoyed our activity. The driver was nice and transfers were done on time. Cherry our guide was superb . she communicated nicely . she was kind , very informative and was able to guide a group to visit Grand palace in midst of a very large crowd . we throughly enjoyed our activity. The driver was nice and transfers were done on time. The tour was short but Nikki, our tour guide, was very accommodating and knowledgeable enough. She gave us some history of the Thai Kingdom and it's culture. The view in the palace was fascinating and one of a kind. Thumbs up! The tour was short but Nikki, our tour guide, was very accommodating and knowledgeable enough. She gave us some history of the Thai Kingdom and it's culture. The view in the palace was fascinating and one of a kind. Thumbs up! The tour was organized but had a bit of chaos maybe because of too many people on all spots. Tour started on time and provided ample time for lunch, snacks and shopping. Our tourguide Cherry is very patient and enthusiastic. She offers to take photos (I am a solo traveler - so I am so thankful) on the must-photo sites. She also knows the rich history of each place. A must - but plan to go on a weekday to avoid crowd. The tour was organized but had a bit of chaos maybe because of too many people on all spots. Tour started on time and provided ample time for lunch, snacks and shopping. Our tourguide Cherry is very patient and enthusiastic. She offers to take photos (I am a solo traveler - so I am so thankful) on the must-photo sites. She also knows the rich history of each place. A must - but plan to go on a weekday to avoid crowd. We visited the Grand Palace, the Reclining Buddha and the Golden Mountain Temple. We also crossed the Chao Phraya to have lunch and feed some fish. The tour gives you everything you need to immerse in the beauty and culture of Bangkok. Many thanks also goes to Kitty, our guide. She was very friendly, very caring and very knowledgeable of the history and meaning of the different places we visited. Good job Klook! We visited the Grand Palace, the Reclining Buddha and the Golden Mountain Temple. We also crossed the Chao Phraya to have lunch and feed some fish. The tour gives you everything you need to immerse in the beauty and culture of Bangkok. Many thanks also goes to Kitty, our guide. She was very friendly, very caring and very knowledgeable of the history and meaning of the different places we visited. Good job Klook! A worth it experience with a great guide, Suan, who made sure we were always still okay to continue with the tour (my tour group had kids so *shrugs*), that we took great photos and that we become knowledgeable on the places we were visiting. You really can't go wrong with this when visiting Bangkok especially for the first time. A worth it experience with a great guide, Suan, who made sure we were always still okay to continue with the tour (my tour group had kids so *shrugs*), that we took great photos and that we become knowledgeable on the places we were visiting. You really can't go wrong with this when visiting Bangkok especially for the first time. Friendly, helpful and good service from tour guide. Knowledgeable about the Grand Palace, Temples visited. Recommended good photo spot, help to take pictures and buy drinks since very hot weather despite being winter time for Bangkok. Enjoyed the boat tour of canal and Chao Phraya. Spectacular views of ancient part of Bangkok from Wat Saket and interesting giant swing. Small group tour more intimate attention from guide who answered all our questions. A large crowd at Grand Palace to see Jade Buddha statute. Guide also pointed out interesting buildings along the way and shared stories, sang traditional songs in Thai. 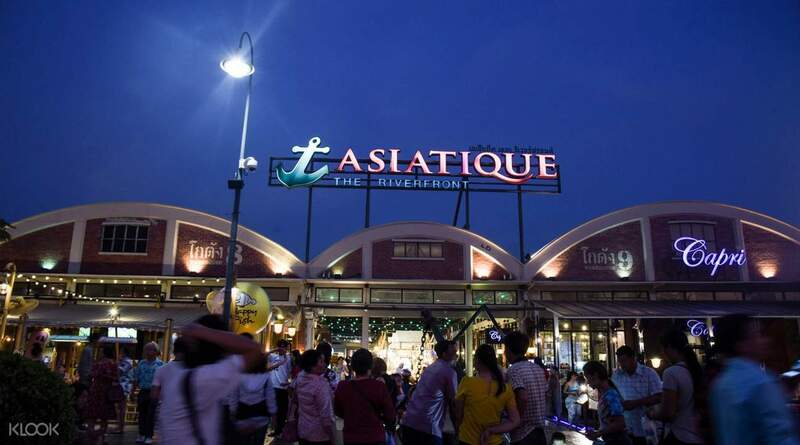 Guide also helped us to go to Asiatique via water taxi. Wonderful tour for first time visitors. We had fabulous time. Thanks Klook. Friendly, helpful and good service from tour guide. Knowledgeable about the Grand Palace, Temples visited. Recommended good photo spot, help to take pictures and buy drinks since very hot weather despite being winter time for Bangkok. Enjoyed the boat tour of canal and Chao Phraya. Spectacular views of ancient part of Bangkok from Wat Saket and interesting giant swing. Small group tour more intimate attention from guide who answered all our questions. A large crowd at Grand Palace to see Jade Buddha statute. Guide also pointed out interesting buildings along the way and shared stories, sang traditional songs in Thai. Guide also helped us to go to Asiatique via water taxi. Wonderful tour for first time visitors. We had fabulous time. Thanks Klook. it is a good experiences for those who are first time visiting Bangkok. Jenny is tour guide for the day. Her explanation for those places are clear and very patience toward everyone in the group. Overall, it is great journey. it is a good experiences for those who are first time visiting Bangkok. Jenny is tour guide for the day. Her explanation for those places are clear and very patience toward everyone in the group. Overall, it is great journey.